It came out better than I ever expected!!! 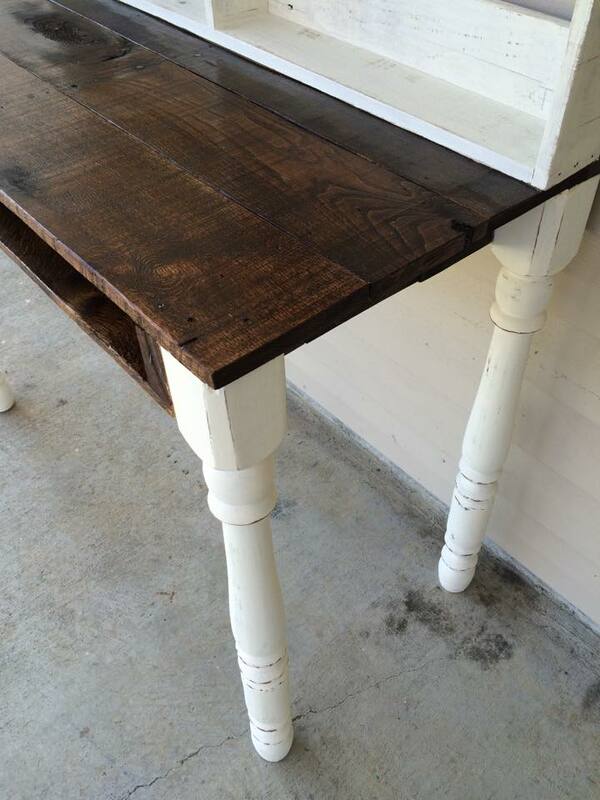 I built this pallets reclaimed desk for my daughter. 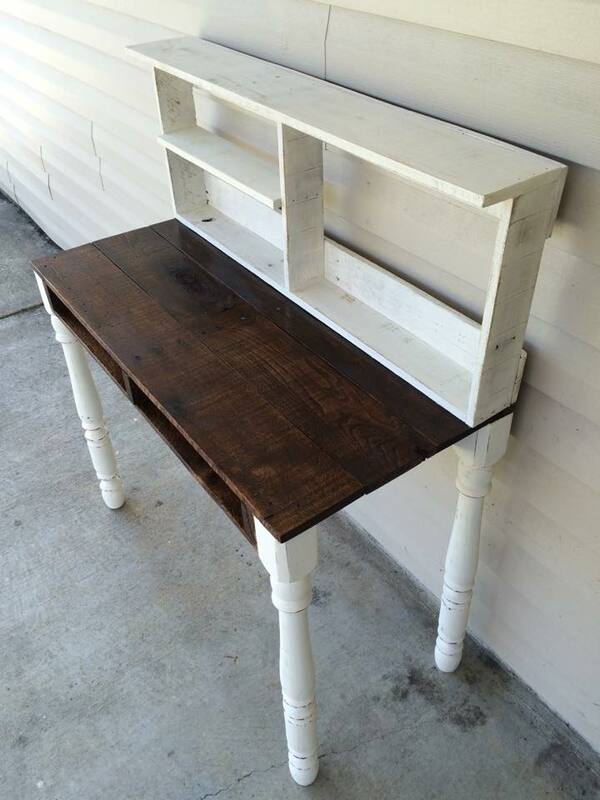 I used home made chalk paint for the legs and back shelves. 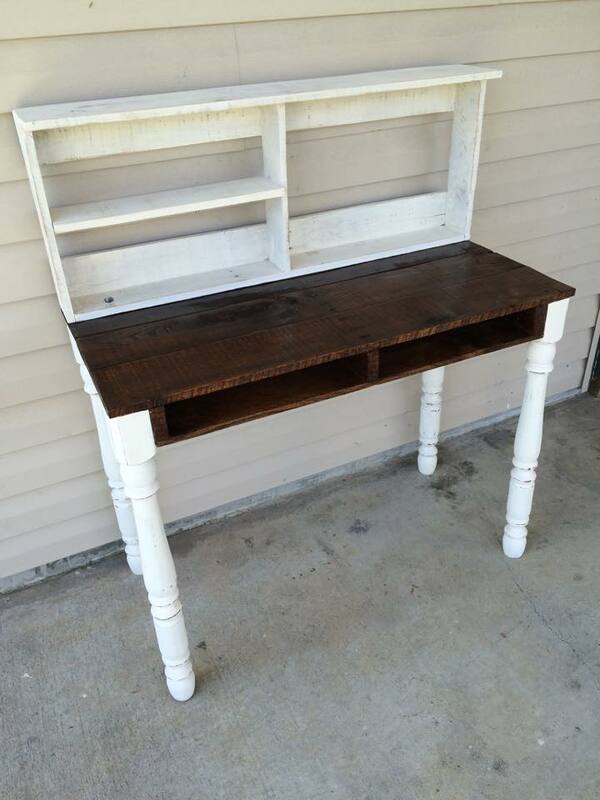 The paint is lightly sanded for an antique distressed look. The top is stained and has clear polyurethane. 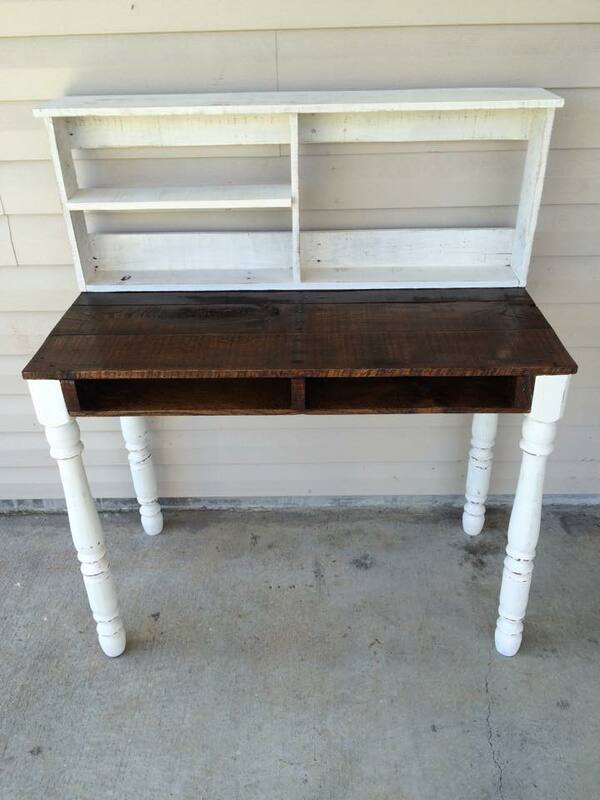 I wanted a mix of paint and stain for character. Oh, I found those legs on an old table on side the road. All the wood was free and the total cost about $5. Never let good wood go to waste!! !